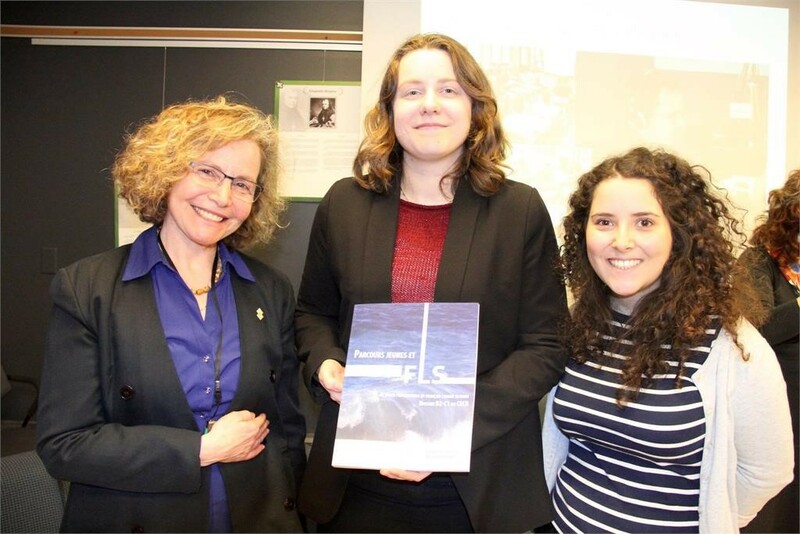 On March 29, around 40 people gathered in the Carrefour francophone of the University of Ottawa to celebrate Parcours jeunes et FLS’s launch. Parcours jeunes et FLS is a French as a second language textbook that was created for B2 and C1 levels and published at the University of Ottawa Press. The book is the result of an interinstitutional agreement between the Journalism Program of La Cité collégiale and OLBI. Based on 18 journalistic reports prepared by students from La Cité, the book explores nine topical themes that affect the youth from here and elsewhere. 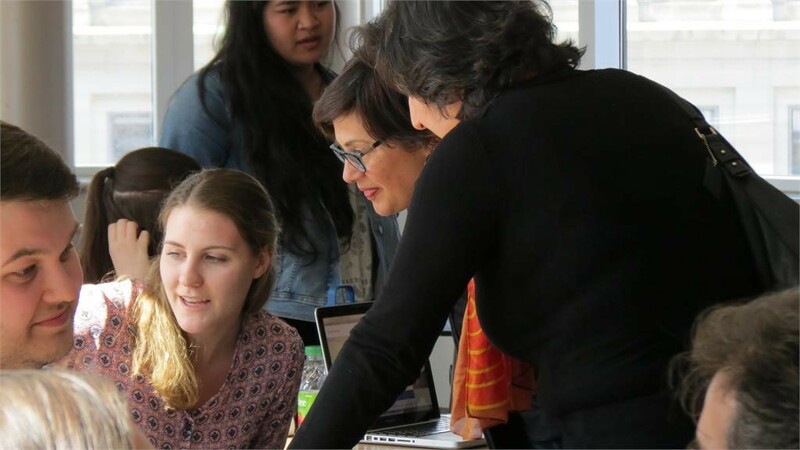 On April 10, the first students of OLBI’s new experiential learning courses showcased their achievements and their language developments to their professors and fellow students. Through these courses, students had the opportunity to volunteer in their community while also enhancing their second language skills. They also learned to manage their learning process by creating a portfolio. Some students presented posters while others opted for a multimedia presentation. FLS and ESL professors were invited to have a look at the students’ portfolios to learn more about their learning process and discover their journey..
We invite you to watch Joanna Wiles and Kelly Lepchuk's videos (in French only). Both students describe their language development. OLBI congratulates these students for their excellent work in language acquisition and for their involvement within the community. CCERBAL is proud to announce new external and internal research funding received by OLBI professors and their colleagues. These projects are in line with OLBI’s research mandate, which is to promote theoretical and methodological advancement in the field of bilingualism studies. OLBI congratulates Joselyn Brooksbank for her brilliant M.A. thesis defence that was held on April 21. Her thesis is titled Family Language Policy: Parental Discourse Strategies and Child Response. 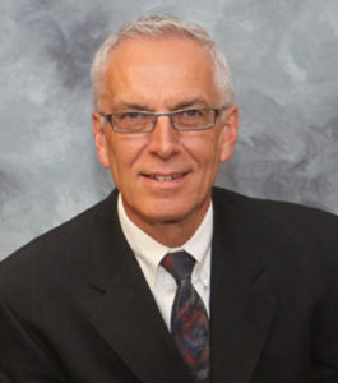 The Larry Vandergrift Memorial Award was established in honour of the deep commitment of this professor toward his students and the University of Ottawa. His generosity and the moral support he offered his colleagues at the university and within the team of the prestigious Canadian Modern Languages Review has touched the people around him. The purpose of this fund is to allocate an annual award to the student in the Second Language teaching undergraduate program (DLS) who has achieved the highest CGPA. Memorial Award. Visit the following web page to learn more about how you can support us. Ms. Marie-Josée Hamel, Chair in New Technologies and Computer Assisted Language Learning, in collaboration with Ms. Martine Rhéaume, OLBI’s blended courses coordinator, are planning a symposium on blended language teaching. The symposium will take place on June 13 and is open to the public. The forum will take place from 1 pm to 5 pm (FSS 4006) and will open with a plenary lecture given by Ms. Hamel, entitled Portraits d’enseignants de langue, pédagogues de l’hybride. It will be followed by a session of exchange of best practices and flagship technologies given by some of OLBI’s professors. The symposium will close off with a causerie session with the public on questions and issues surrounding blended language teaching. Ms. Hamel and Ms. Rhéaume are also organizing a closed retreat on June 14 for OLBI’s professors to develop a guide on blended language teaching at OLBI. OLBI invites teachers of French as a Second Language (core French, extended French, intensive French and French immersion) from elementary and secondary levels from Canada and abroad to take part in the Summer University Program. From the 10 to the 21 of July 2017, participants will join in workshops on best teaching practices and meet colleagues and members of professional associations. Exchanges between teachers from various provinces generate ideas and can be particularly beneficial to teachers who are the only FLS teacher in their school. With this program, OLBI wishes to promote second language learning and hopes to take part in the development, the promotion and the diffusion of groundbreaking teaching methods. The Summer University is also an excellent option for Teacher Education students who wish to gain more professional training before starting their careers in September. Don’t miss your chance of spending time in Ottawa during the Canada 150 celebrations! The deadline to register is July 1, 2017. For more information, click here.